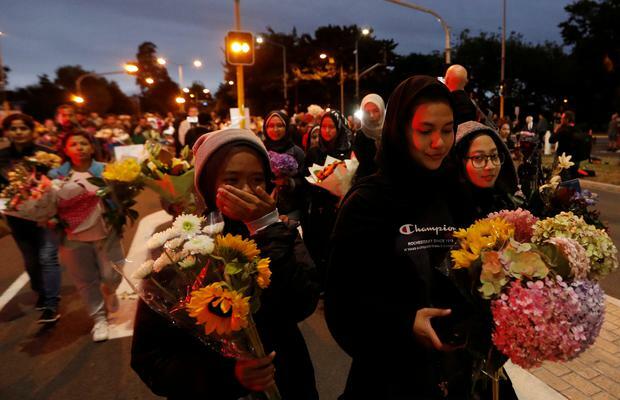 The death toll in the New Zealand mosque shootings has risen to 50 after investigators found another body at one of the mosques, New Zealand Police Commissioner Mike Bush said on Sunday. "It is with sadness that I advise that number of people who died in this event has now risen to 50. As of last night we were able to take all of the victims from both of those scenes. In doing so we were able to locate a further victim," Bush told a media conference. 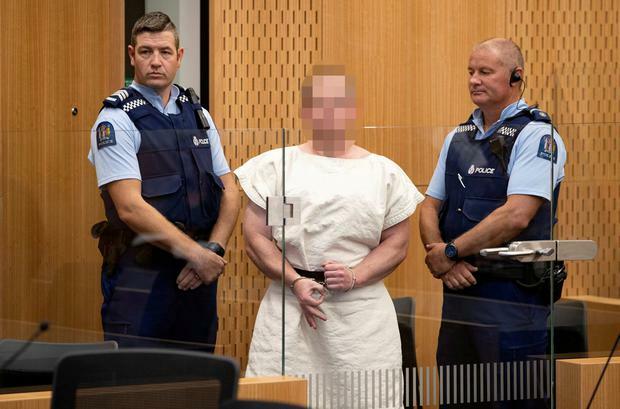 Australian Brenton Harrison Tarrant (28), a suspected white supremacist, was charged with murder on Saturday after 49 people were killed and dozens wounded in mass shootings at two New Zealand mosques. Footage of the attack on one of the mosques was broadcast live on Facebook, and a "manifesto" denouncing immigrants as "invaders" was sent to politicians and media outlets and posted online via links to related social media accounts. Ardern's office said the suspect sent the "manifesto" by email to a generic address for the prime minister, the opposition leader, the speaker of the parliament and around 70 media outlets just minutes before the attack. A spokesman said the email did not describe the specific incident and that there was "nothing in the content or timing that would have been able to prevent the attack." "Many of the people require multiple trips to the theatre to deal with the complex series of injuries they have," said Christchurch Hospital's Chief of Surgery Greg Robertson. "Hi guys how are you. I am very sorry to miss your calls and text messages...I am really tired...please pray for my son, me and my daughter...I am just posting this video to show you that I am fully ok," said Wasseim Alsati, who was reportedly shot three times. "I convey the message of love and support on behalf of New Zealand to all of you," she said. Bangladesh's honorary consul in Auckland, Shafiqur Rahman Bhuiyan, said that "so far" three Bangladeshis were among those killed and four or five others were wounded, including two left in a critical condition. "One leg of an injured needed to be amputated while another suffered bullet injuries in his chest," Mr Rahman Bhuiyan said. He declined to identify the dead or wounded. Jordan's Foreign Ministry announced the death on Saturday. The ministry said a Jordanian diplomat is on his way to New Zealand to coordinate with local authorities. 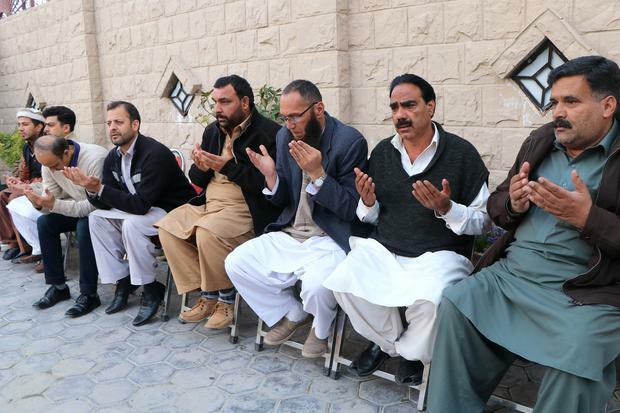 Pakistan's Foreign Ministry said four Pakistanis were wounded, and Ministry spokesman Mohammad Faisal tweeted that five other Pakistani citizens were missing after Friday's attacks. 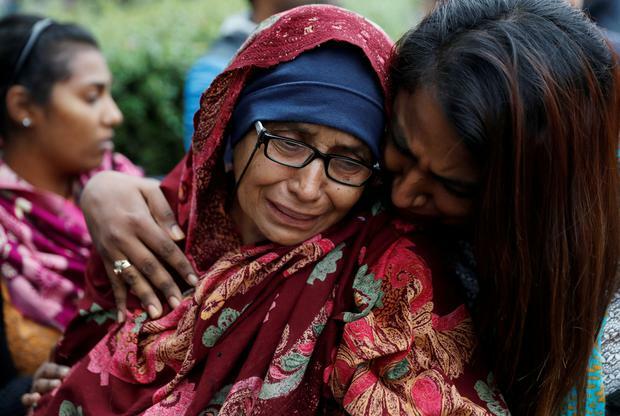 India's high commissioner to New Zealand, Sanjiv Kohli, tweeted on Saturday that nine Indians were missing and called the attack a "huge crime against humanity". 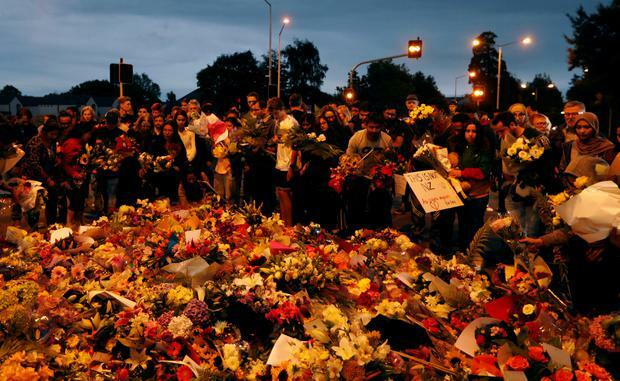 Indian officials have not said whether the nine were believed to be living in Christchurch. Turkish President Recep Tayyip Erdogan said at least three Turkish citizens were wounded in the attacks in New Zealand and that he had spoken to one of them. Afghanistan's ambassador to Australia and New Zealand said two Afghans were missing and a third person of Afghan origin was treated and released from the hospital. Egypt said four Egyptians were among those killed in the shootings. The emigration ministry said on Saturday that authorities in New Zealand have the deaths, including two 68-year-olds. The ages of the other two victims were not given. "I'm not sure how to deal with this. Forgiving is going to take time," Omar Nabi, whose father Haji Daoud Nabi was gunned down, told reporters outside the Christchurch court. Nabi's family left Kabul, Afghanistan, for New Zealand in the 1970s. "I can't even go to the mosque now because I am scared of that happening again," the 16-year-old told New Zealand television. He said his mother, who was at the Linwood mosque with his father and brother, saw two people shot. "She came here for the peace...now she is shocked," he said, adding his mother was too afraid to leave her house. U.S. President Donald Trump, who condemned the attack as a "horrible massacre", was praised in the accused gunman's manifesto as "a symbol of renewed white identity and common purpose". Ardern said she had spoken with Trump, who asked how he could help. "My message was sympathy and love for all Muslim communities," she said she told him. On Saturday, the White House said U.S. Vice President Mike Pence spoke with New Zealand's Deputy Prime Minister Winston Peters on Friday to express condolences for "the despicable terror attacks." Pence also affirmed U.S. cooperation in ensuring all the perpetrators were brought to justice. "These acts of hate have no place in the diverse and tolerant society for which New Zealand is justly known," the White House statement said.